The Dallas Mavericks started their season looking to notch another deep postseason run. By the end of their first round series against Houston (they lost 4-1), Rick Carlisle’s team looks like a shell of its former self. That didn’t happen overnight, and examining the why is always something worth doing. It was in December when the Mavericks traded for point guard Rajon Rondo, and there was every reason to believe that he was the missing piece to the puzzle. With the addition of a top-level point guard, Dallas now boasted one of the best starting fives in the NBA and was more than capable of striking fear in the hearts of its Western Conference foes. When Amar’e Stoudemire joined the fold in February, things couldn’t have seemed brighter. After being bought out by the New York Knicks, Stoudemire was poised to join a contender. This is what he believed he was getting in Dallas. It’s funny how wrong the veteran power forward turned out to be. I came here to win, and we’re [four-and-a-half] games out of being out of the playoffs, which is unacceptable. This is something we can’t accept. We’ve got to find a way to refocus. We’ve got to key into the details of the game of basketball. We can’t cheat the game. We can’t screw around in shootarounds and practices and joke around all the time and figure we’re going to win games. This is the pros. It’s the highest level of basketball. We’ve got to act that way. 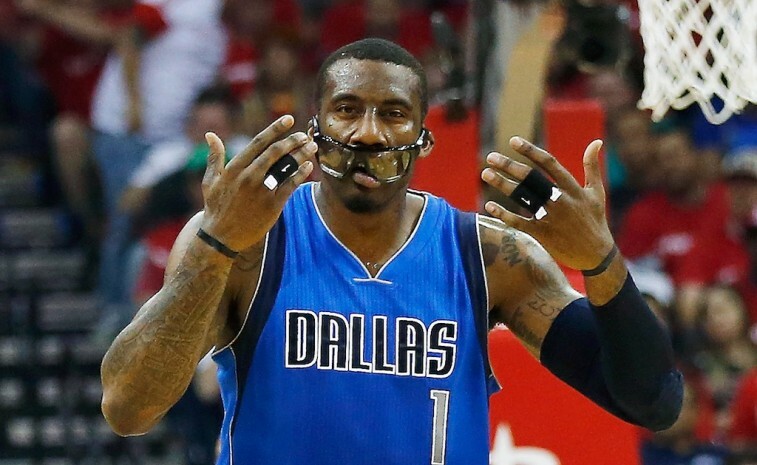 At that point, how could Stoudemire not be regretting his decision to join the Mavericks organization? This was certainly not what he signed up for. And he wasn’t the only new member struggling with his current situation. Rondo, who once seemed like the perfect fit in Dallas, had become anything but. His inability to mesh with coach Carlisle over play-calling responsibilities turned into an on-the-court exchange between the two alpha males. This subsequently resulted in a one-game suspension for the point guard due to “conduct detrimental to the team.” It became clear that this union between Rondo and the Mavericks had reached a breaking point. Unfortunately for all parties involved, this downward spiral continued into the postseason. It wasn’t just that the Mavericks lost Game 2 to the Rockets by a score of 111-99 — it was what occurred in the process. For the majority of the second half, Rondo found himself glued to the pine. The young guard had played less than 10 minutes in the contest, and this appeared to be the last straw. Rondo was ruled out indefinitely following what the team has cited as a “back injury.” It’s safe to read between the lines on that one. After all, Rondo was benched for not being at his “competitive best.” Not so surprisingly, he signed elsewhere in the offseason, packing his bags for Sacramento. 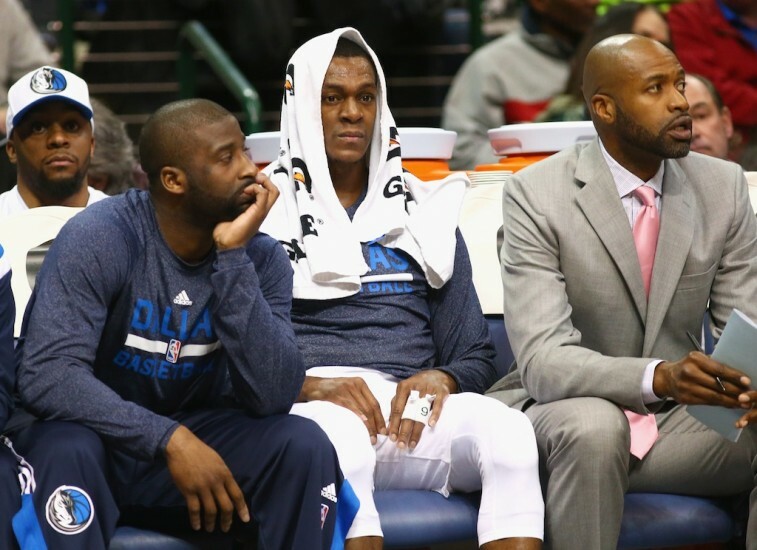 To make matters worse, the Mavericks don’t look to be substantially better this year. Forward Chandler Parsons looked ineffective as he battled injury and not even close to the potential face of the franchise he was when he signed with the squad. Furthermore, the offseason saw shooting guard Monta Ellis and Tyson Chandler jump ship. In other words, when it rains, it pours. 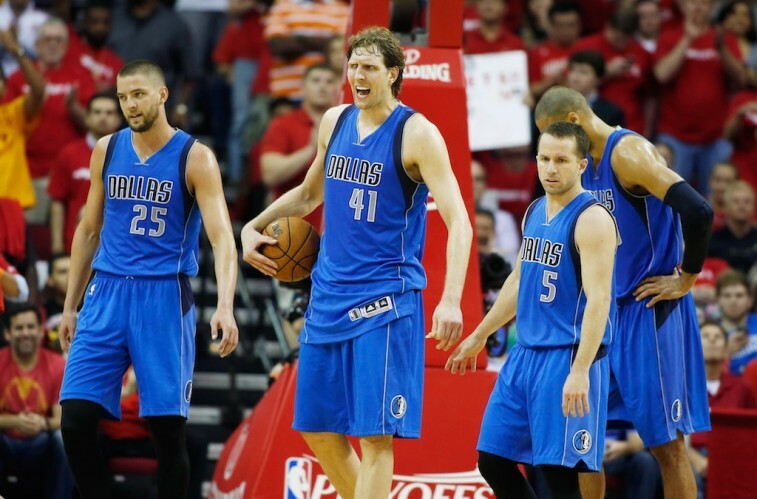 Early on, it looked like the Dallas Mavericks could be a wild card in the Western Conference. Over the last two months of the season, not only did they proved to be simply another pretender, but the team has completely unraveled. The franchise made moves it hoped would put the team in contention for an NBA title, but the opposite ended up happening. Team chemistry fell apart and other weaknesses were exposed. There’s a big rift between winning 50 games and being a real contender for a championship, and last season Dallas showed us exactly what that was.